Learning a new skill, like dancing, can be a little scary at first, but RhythmAddict is here for you. Fun classes with friendly teachers & fellow students, we make it Easy with classes geared towards absolute beginners, and Judgement Free because everyone started at the beginning, just like you! Practice makes perfect & there's no better place to practice than at "home" with fellow students. The friendliest social around, offered every month, open to anyone. Studio caters to adults of all ages, and to practice what you learned in class in a friendly, supportive, fun community of dancers - new & old - beginner & advanced - all here for the same purpose: to have FUN! What's the sense in learning if you can't have fun too? Dancing is so much more than just a few hours on the dance floor. It's the friendships you develop. It's the partners (dance, hanging out & "in crime") you meet. It's taking vacations together and hitting the clubs together and so much more. Great environment, great people. It is a very comfortable place to be, to learn and to meet friends. The staff is out of this world. It is a place where you start and you do not want to leave. Thanks for all the good memories. 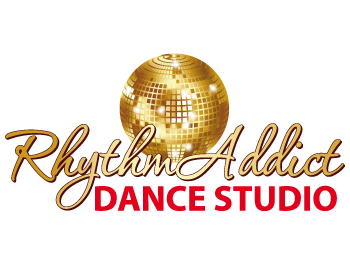 I strongly recommend this studio to learn Salsa, Bachata and other social dances. My husband and I were looking for someone to teach how to dance Salsa and Bachata music. First class was awesome and our teacher did a great job teaching these two left feet. We love coming here and everyone is very welcoming. LGBT Friendly and Welcoming dance studio!! My fiancé and I researched many dance studios and we are lucky to have found a funny, knowledgeable, LGBT welcoming dance teacher, Esther. We are in the middle of learning our first wedding dance and we are loving every minute of our lessons.